Realtime Prices, Sentiment, Tweets, Scuttles, News and discussions on Snap Inc. Snap Inc. is an American multinational technology and social media company, founded on September 16, 2011 by Evan Spiegel and Bobby Murphy and based in Venice, Los Angeles. Its products include Snapchat and Spectacles. 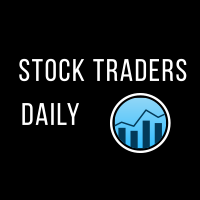 For a limited time get your FREE Stock Traders Daily report on SNAP. Get it now.